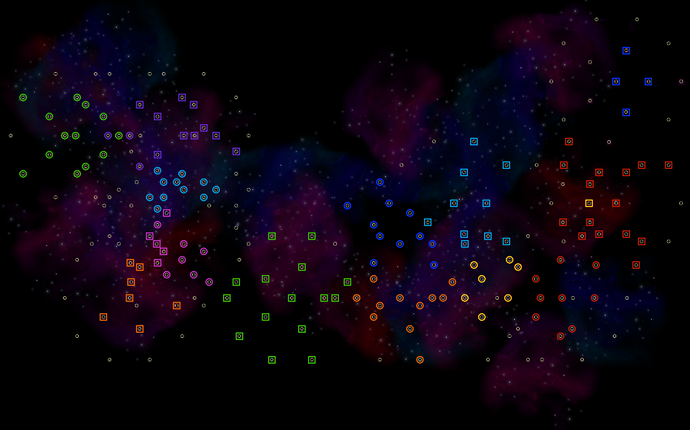 Custom map, I ruined a spiral galaxy design and kept punching it until it looked not normal enough to be interesting. 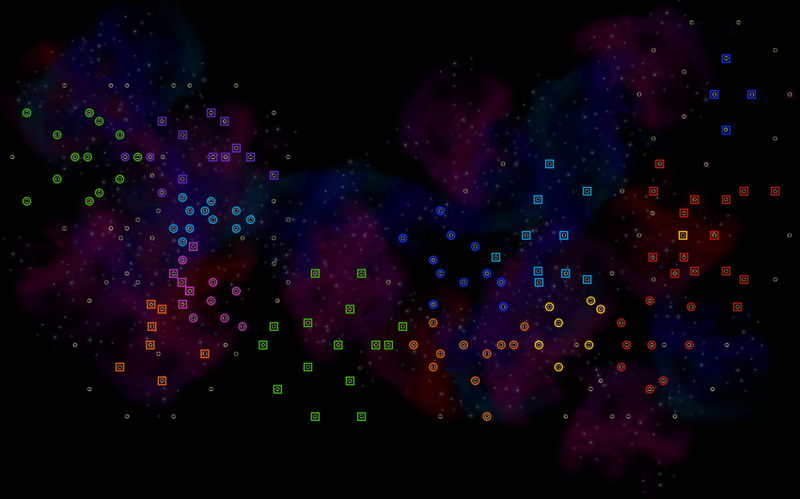 You start with 1 star, lvl 16 Hyperspace and lvl 2 Scanning. Terraforming research is deactivated. 66% victory. 1 starting star was not ideal but any higher and my map would always award more starting stars to 1 or 2 players while the rest got the set number. It started a couple of days ago, here’s what the map looks like at Cycle 1 (24 hours of play). Highlight so far was someone hitting “Concede Defeat” when they meant to press “Submit Turn”.